Randwick Sustainability Hub, is based at Randwick Community Centre, is the Eastern Suburb's venue for community skilling-up. Here in the energy-and-water-efficient-retrofitted community centre building, The Classroom on the Village Green, the Reedbed Toilet and the Permaculture Interpretive Garden, we offer a range of courses, workshops, events and seminars. These have been designed to assist Eastern suburbs citizens live more effective lives and exercise more control over the way they live, to take advantage of positive opportunity and to make living the Eastern Suburbs a better and convivial place. Just insert your email into the box provided and you will receive the monthly eNews. IT'S INTERNATIONAL PERMACULTURE DAY again at Randwick Sustainability Hub. RUNS OVER 6 MONDAY MORNINGS... Small places can yield big results when productive gardens are made according to permaculture design principles. 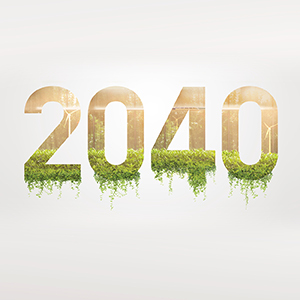 2040 Advance Screening and Q&A with director Damon Gameau (That Sugar Film) live on stage. Solar and Batteries – Is now the time to buy? 1 in 4 Australian households have already installed rooftop solar to save on their electricity bills, and over 2,600 of them are here in Randwick! Come along to this free information session to find out whether solar and batteries are right for you. FULLY BOOKED. 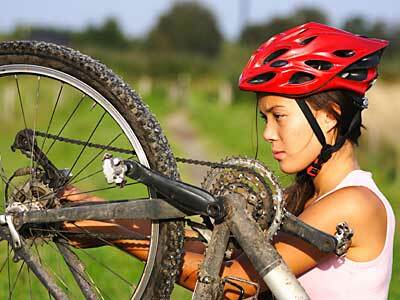 Keep your bike running smooth and learn some handy bike maintenance skills. There will be native and indigenous plants on sale, as well as a range of exotic species. BOOKED OUT... The Intermediate Bike Maintenance workshop is for people who want to make adjustments to their bicycle. The workshop focuses on setting up and maintaining the most common cable brake systems found on modern bicycles and the adjustment of cable gear systems. Kitchen garden, forest garden, wild food and native plant garden, aquaponic and vertical garden or seed saving — what appeals? Those gardens are the choice on our regular Friday Permabee garden volunteer mornings. They're a chance to do, to learn, to get a little easy outside exercise. We meet in the Permaculture Interpretive Garden every Friday from 9:30-12:30pm. The kitchen and seed garden, with horticulturist Jon Kingston. Jon is setting up a seed bank to save seeds from the kitchen garden. This is a chance to learn how to collect, process and store seeds from someone working with the Inner Weste Seedsavers. The food forest/aquaponic-vertical garden array, with landscape architect and permaculture educator, Steve Batley. Steve is establishing a variety of fruit trees, shrubs and other plants that will eventually become a small food forest. 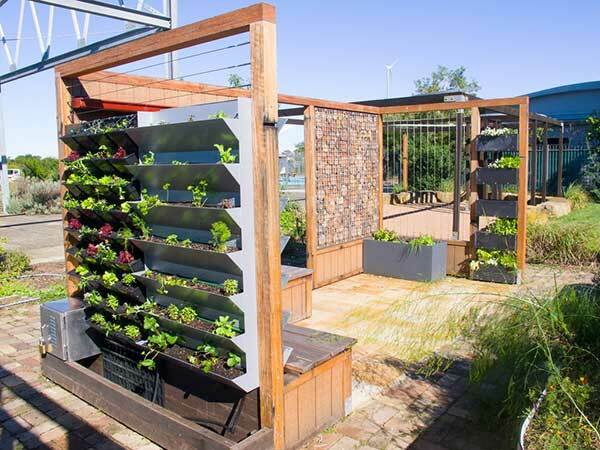 The aquaponic and vertical garden system was set up to demonstrate what people could do in their small courtyard gardens. The wild food and habitat garden, with council's sustainability educator, Fiona Campbell. This is a new garden now starting to take shape as the plants become established. It will feature a range of wild foods, bushfoods and native plants. Volunteers can choose to stay with one particular garden area or rotate between them on different Fridays. This is a common sense course in pragmatic, modern sustainable living. It originated with Murdoch University's Faculty of Behavioural Psychology and we have repurposed it for Sydney Eastern Suburbs participants. It is proactive in content and spirit and psychologically empowering, avoiding the 'green fatigue' common to some discussions around sustainability. In the course we will look at the conventional sustainablity topics of water, energy, transport and waste and how we can creatively intervene in them, and go into less-common sustainable living topics of working in community, lifecycle analysis, the food you eat and personal wellbeing. There's a new economy in gestation and it's a sharing economy that you, too, can participate in. Join Sydney's collaborative economy practitioner, Annette Loudon, and Fiona Campbell to explore the possibility of community cashless trading systems, community swaps and exchanges, freecycling and the idea of using-without-owning, whether that be cars, tools or whatever. One of Australia's more interesting exports, the permaculture design system is now global and populated by innovative people with imagination. After completing this two-meeting mini-course, you may well join them. A way to make our own lives and homes productive and comfortable places, permaculture has also become a community approach to improving the suburbs. The design system is based on the three ethics of caring for people and the environments we inhabit and of sharing what we know with those who want to learn. It proposes that we work where it counts. In this introuctory course we will explore how permaculture's set of principles is useful in our personal and community lives and how we can apply those principles in our home through making them energy and water efficient, producing less waste, producing some of the food we eat or buying it from people who have produced it with landcare ethics and of other creative behavioural changes that will make out lives better. This special course is popular among school and early childhood teachers and others working with younger children at centres. Water and Energy Wise Trails, wind turbine, solar panels, rainwater tanks as well as examples of energy and water efficient building fittings. Running for six, weekday evening meetings at Randwick Sustainability Hub, the course leaders are teacher-trained or have specialist knowledge. starting a wormfarm or compost system. improve energy and water use. These are course for the makers among us, those who like to get out and make something good, inspiring and edible where before there was only the bland monoculture of lawn or wasteland. Or for those who are interested in creating green corridors through our suburbs with native plants to provide habitat for all the tiny native bees, frogs, insects, fairy wrens, blue tongue lizards and other creatures that move through our area. 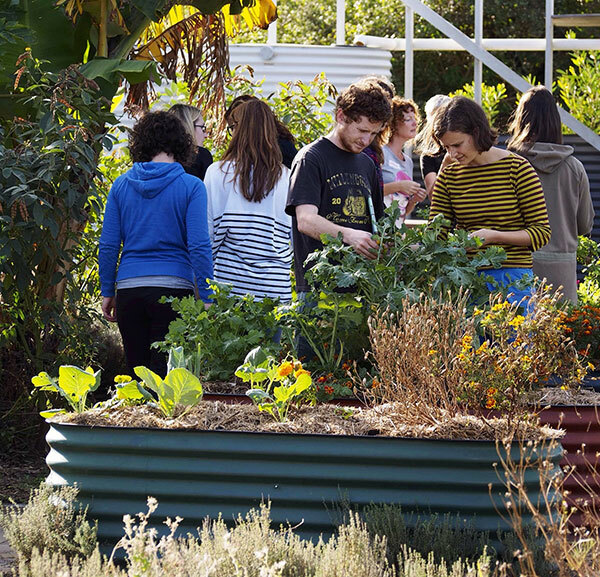 Offered for almost ten years, Randwick Council's Organic Gardening course is aimed at assisting home and community gardeners improve their family's foods security by improving their skills and increasing their garden's productivity. Although the course focuses on growing food plants and the flowers and legumes that support them, the principles of garden design and management are equally applicable to those why want to grow a native or ornamental gardens using organic methods. Site analysis and garden design, understanding and propagating plants, understanding and improving soils, how to make a garden, irrigation, managing garden pests, planting in guilds — these are just some of the skills you will learn. Think of it as basic training at the end of which you should know enough to get started on your own garden or to improve the garden you aleady have. The course is non-dogmatic in its approach in calling upon tried organic gardening knowledge as well as skills drawn from the permaculture design system. A course for people with small balcony or courtyard gardens as well as for those with larger gardens. We include sessions on container gardens for apartment balconies and courtyards. A fine follow-on from the Organic Gardening course, this course introduces the concepts, knowledge and skills to plant a small food forest garden in your backyard or community garden. Using concepts drawn from forest ecology, orcharding and horticulture, participants learn about the site analysis, how to place different plants in the forest garden, combining tree, shrub and vegetable crops, the importance of garden soils, irrigation, pest management and growing fruit trees in containers. This is another course that supplements inside learning with experiential learning in the garden. No experience necessary for this seven meeting course. Create garden homes for tiny native bees, frogs, insects, fairy wrens, blue tongue lizards and other creatures using low maintenance garden techniques that mimic nature and which can provide hours of enjoyment using native Australian plants. In this course we visit bushland sites in Randwick, Waverley and Woollarah and visit the Randwick Community Nursery. This course runs over five sessions. Small places can yield big results when productive gardens are made according to permaculture design principles. Intensive food production in a very small area - and a small area is all that many of us have here in the Eastern suburbs - is the theme of this short course that calls upon our knowledge, imagination and innovation. Do you already have, or do you aspire to a leadership role in your commuity organisation, social enterprise or small business? Taking the courses that make up Randwick Council's Community Leadership program as one-off skill-building mini-courses doing the lot will build a comprehensive leadership skillset. The courses are modules in the commuity leadership training program and are offer over a period of approximately two years (this may vary). The courses meet once a week. Maria and Richard McGuire from facilitation consultancy, Unfoldign Futures, lead this five meeting course in which you will learn to facilitate decision making and direction setting for community groups, institutional and social enterprise workers. Like other courses in the Commuity Leadership program, this one is very participatory with plenty of groupwork. participants leave the course with an approach to strategic questioning and a method of participatory decision making. Presentations, conversations, face-to-face discussion such as at stalls at events, posters... these are just some of the communciations media that we will explore in this five week course. We will look at stimlating behaviour change through framing our message, use of the right language and Thematic Interpretation to build our skills as effective communicators. Both of these events are led by social change expert, Les Robinson, author of the change — how to do it book, Changeology. Sometimes, voluntary community groups get tired. Membership falls. So does participation in events they organise. The leadership gets crusty and fails to lead the organisation in new. exciting directions. When this happens it is time for change. Constructive change led by new ideas and convivial participation is what the Passion Mashin', one-day workshop offers. It's about reinventing tired community organisations so that they gain new life and vitality. If your community group meetings bore you, this is the course you are looking for. Behaviour change and how to do it is the theme of this two-meeting mini-course. Les leads us through an understanding of why and how people change, or not, and how we assist them find new opportunities through applying the ideas Les has acquired over several decades of working in the field. Changeology is a fitting complement to Les' Passion Mashin' workshop. Led by Grahame Collier — who is perhaps NSW's most experience sustainability educator with extensive experience in government and as a consultant — through class and small group work this course of five meetings (the number may vary) introduces you to concepts in leadership. Understanding behaviour change, leadership styles and qualities and exploring well nown leaders in a range of fields are some of the topics covered. 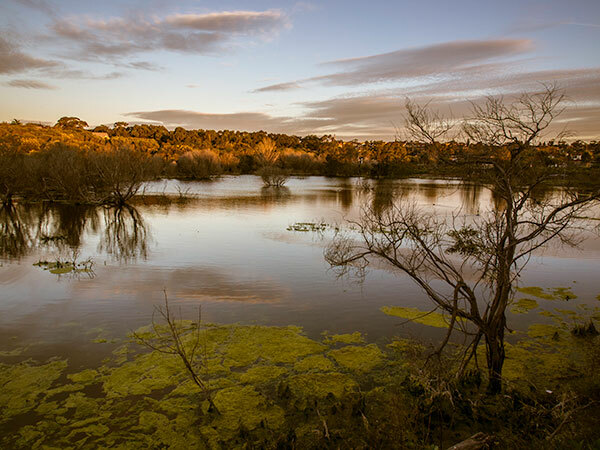 At the Randwick Sustainability Hub, Randwick Council offers occasional workshops to improve the knowledge and skills of Eastern Suburbs people in making their homes and the region a productive, pleasant place to live. Learn how to grow fish and plants together by joining aquaculture (growing of fish in water) and hydroponics (growing of plants in water) together. We'll teach you the basics of setting up a system and what you will need to do to maintain a healthy system. 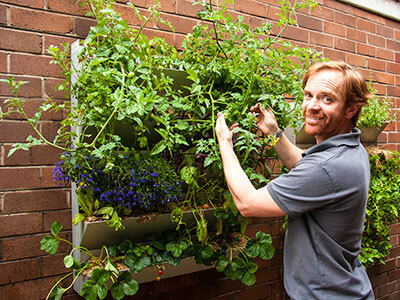 Mixing the understanding gained in class with the insight gained outside in the garden, this workshop provides an introduction to the horticultural possibilities of the small courtyard gardens and apartment balconies common in the Eastern Suburbs. We run beginner and intermediate bike maintance workshops. servicing such as cable maintenance and pad adjustments or replacements. Ever thought about native or honey bees? Bees are fascinating creatures, busy as .. and essential pollinators for urban as well as rural areas. This introductory workshop will explore the differences between exotic and native bees and everything you need to know about them. How can we create bird-friendly spaces in our backyards, community gardens and parks? What do they need to live, breed and bring up their families? Birds find their food, shelter, water and nesting sites in a natural environment, but what about in our backyards? We'll explore some design tricks to create suitable habitat for birds using plants, ponds and other elements. We'll also learn about their food and shelter needs. Dogs can be companionable and cats aloof and cunning, but neither can compare to the eggs and good company of having your own chooks in the home or community garden. The chook is the most populous bird in the world and, for people, the most useful. This workshop will cover everything you need to know from regulations and requirements for keeping domestic chickens, appropriate chook shed, feeding and water, predators and ongoing care. Declutter your kitchen space using Permaculture design principles and learn how to de-clutter your cooking, storing and cleaning areas. We'll share design tricks that help us get more out of the inside of our homes. There's nothing like your own little wetland. A small pond brings dragonflys, frogs and the calming presence of water to our garden. Learning how to make a pond, what to grow in it (yes, even food plants) an how to landscape it into your home or community or your balcony garden is the focus of this workshop. We'll explore how we can use permaculture design principles and tools to analyse our site and think of smart solutions to make our homes more comfortable in summer and winter using passive and active design systems with a permaculture architect. We'll see examples of low toxic materials we can use when we renovate and also see examples of repurposed materials. Explore the beauty and value of seeds for future generations and agricultural biodiversity. Participants will learn the skills of harvesting, storing and germinating seeds and will even get some seeds to take home and plant. Randwick City Council supports waste reduction events throughout the year and provides information to schools and the community on how to reduce their waste and recover resources. We're happy to organise a recycling talk for your community group to promote correct recycling practices and to explain the benefits of recycling for our environment. Did you know that you can take your unwanted household white goods to the Recycling Centre at 72 Perry Street, Matraville. When the bees came to town — beekeeping courses now have an apiary at the Hub, story by Russ Grayson, 2015. Growing organically in Randwick's sandy east — a Council organic garden course for home and community gardeners, story by Russ Grayson 2014.